Othello is the greatest general of his age. But he is also an outsider whose victories have created enemies of his own, men driven by prejudice and jealousy to destroy him. 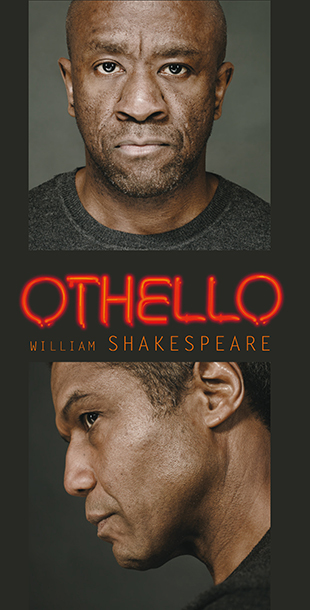 As they plot in the shadows, Othello realises too late that the greatest danger lies not in the hatred of others, but his own fragile and destructive pride. After more than a decade working in film and television on projects from Star Wars to Holby City, Hugh Quarshie returns to the RSC to play Shakespeare's Othello. He was last seen with us in Faust and Julius Caesar (1996). Hugh will play opposite Lucian Msamati in the role of Iago, returning to the RSC following his role as Pericles in 2006. Joining them in the role of Desdemona is Joanna Vanderham, who makes her RSC debut. Joanna, best known for playing the lead character of ‘Denise Lovett’ in BBC’s The Paradise, has also starred in feature film What Maisie Knew and BBC drama Dancing on the Edge. Joanna will next appear in Jimmy McGovern’s Banished on BBC Two in early March and as ‘Marian Maudsley’ in a new BBC adaptation of L. P. Hartley’s classic novel The Go-Between in July. The Othello set is designed by Ciaran Bagnall with costume design by Fotini Dimou, and lighting by Ciaran Bagnall. The music is composed by Akintayo Akinbode with sound by Andrew Franks. Movement is by Diane Alison Mitchell and the fight director is Kev McCurdy.